1) Strategic planning. Great tool to maximize the creative power of a small team to set strategic direction, identify objectives, tasks, and projects. 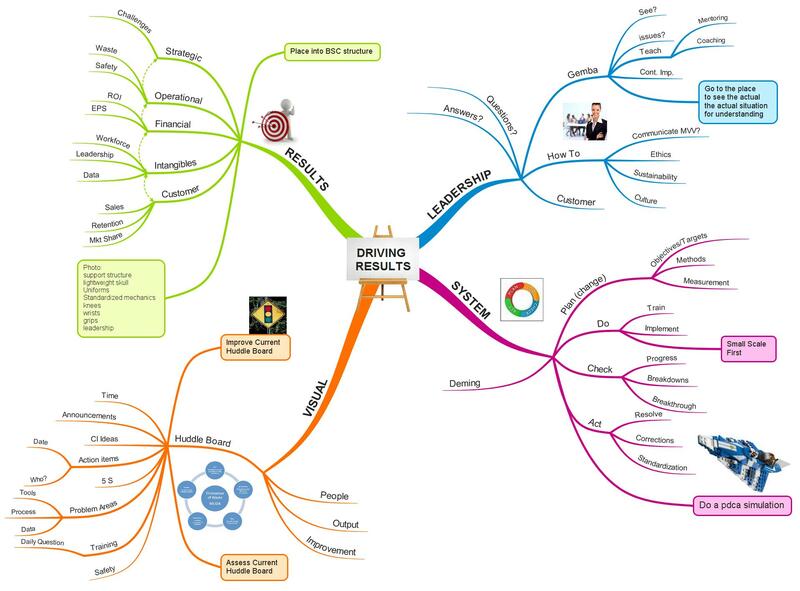 The good news about iMindMap is that you can flip an icon and turn your Mind Map into a project plan and create tasks, assignments, timelines, etc. 2) organizing course outlines and structure. I am teaching a serious of courses for a local food manufacturing and distribution company on lean leadership, thinking, and practices. using Mind Mapping I was able to quickly come to the point points, identify the critical elements, and design the group activities. Great tool for anyone interested in maximizing the power of personal and group creativity and dynamics.